At its 2018 Worldwide Developers Conference (WWDC), held on June 4, Apple announced iOS 12 (for devices such as iPhone and iPad) and macOS Mojave (its updated Mac operating system). Here are some highlights from the event. Many of iOS 12’s features are focused on improved performance. Your Apple device will be faster and more responsive for tasks you perform regularly, such as launching the camera (70% faster after swipe) and launching the keyboard (50% faster), with apps launching twice as fast even under heavy workloads. With iOS 12, FaceTime will support video and audio chats with up to 32 people simultaneously. You can start a Group FaceTime session directly from a group thread in Messages, or add participants individually. The Notifications Manager adds ways to reduce interruptions throughout your day. You can manage your notifications in real time from the Lock screen, sending notifications from a specific app to Notification Center or turning them off altogether. Do Not Disturb can be turned on just while you’re in a meeting or at a specific location, automatically turning off as soon as you leave. 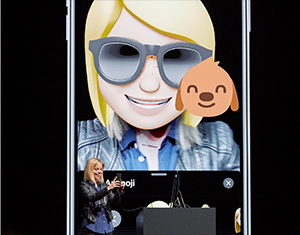 iPhone X users will have four new customizable Animoji, and you’ll be able to easily create your own custom Memoji to match your personality and mood. Siri can be programmed to perform single or multiple actions on your device, including working with third-party apps, via a feature called Shortcuts. Shortcuts will make Siri much more useful for specific workflows or activities. iOS 12 has improved privacy in Safari by preventing share buttons and comment widgets from tracking you without your permission. Safari also prevents advertisers from collecting your device’s unique characteristics, so they can’t identify your device or retarget ads to you across the web. Augmented Reality (AR) gets a performance bump, which was demonstrated with a Lego game presentation. iBooks has been redesigned and is now called Apple Books. There is a new redesigned Stocks app available for the iPad. The News app is also redesigned, and the Voice Memo app will be available for the iPad. The upcoming release of the Mac operating system is known as macOS Mojave. The most dramatic new feature is Dark Mode, an option that will change screen elements that are usually white (such as the dock, taskbar, and windows) to something closer in color to Apple’s beloved space gray. Dark Mode will be of great benefit to photographers, designers, video editors, or any user looking to focus more on their work while screen elements recede into the background. Dark Mode will work with built-in apps that come with the Mac, and third-party apps designed to integrate with it. 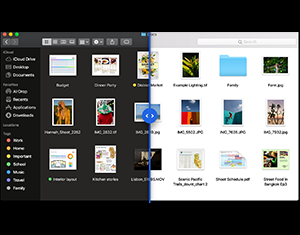 Another new Mojave feature, called Stacks, will help organize a messy desktop, allowing you to automatically group files on your desktop by type or other attributes such as tags or date. The Mac App Store has been completely redesigned with a new look, and apps including News, Stocks, Voice Memos, and Home will be available on Mac for the first time. 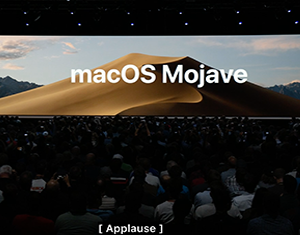 For a more in-depth Mojave preview, click here. 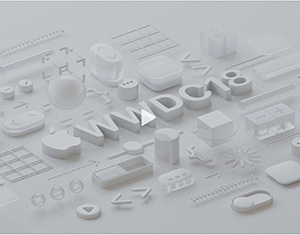 Click here to watch the WWDC conference. Click here for a full list of what’s new in iOS 12.